I think the family business can be a great source of pride for a family. Unfortunately more times than not it becomes a great source of frustration, anxiety and even family estrangement. I know firsthand. I spent the first 16 years of my career working in our family’s 87-year-old business and have spent the past 16 years working in and around other family businesses all over the country and all over the world. So I wanted to write everyone interested in family business and ask them to consider this one simple request: Why don’t you leave your family business? For the founders, mothers and fathers that have made their family business such a big part of their identity, I want you to leave the family business so that you have an opportunity to find out who you are other than just being identified with your family business. It will be a good exercise for you to round out yourself as a human being. For the founders, mothers and fathers I want you to leave so you can see just how good a leader you have been. Great leaders create companies that can operate without the founder. If you can leave and other leaders are ready to step it up and have the business move forward and not miss a beat — then you are a great leader. For the next-generation that have worked their entire career in the family business, I want you to leave for a while so that you can get a balanced perspective on life and what it’s like to work in a business that isn’t your family business. I want you to see how good you are at generating results at another business with other people without the right last name. It will be a good exercise for you to round yourself out as a human being, give you a breather and maybe give you some humility. For the next-generation that are wholeheartedly committed to coming into the family business as soon as possible, go work somewhere else for a few years. Working in your family business may be a great thing for you and the family business, but I know for sure working outside the family business will be great for you. Working outside your family business will help you learn how to generate results, gain fans and followers without the right last name. When you can be a respected star in another business it’ll make you an even greater asset for your family business. For in-laws that are stuck in and around the family business, simply turn in your resignation and tell your spouse or the family business that you are going to remove yourself from all things family business for the time being. You deserve a break. It will be a great exercise for you and for the family business. I don’t want you to leave forever, I just want to give you permission to take a timeout. Founders stay too long and make the family business a living monument to their own greatness. The problem is while they’re living the monument/museum continues to operate and in the meantime their up-and-coming successors die on the vine. The successors become bitter about not having a chance to have their turn at flying the family plane (business) or fall asleep and become lazy because they’re not responsible for generating ideas and handling responsibilities. Next-gens that have worked in the family business their whole life have been insulated from the realities of working outside the family business. Working outside the family business will give them a better barometer of how good they are at solving business problems and gaining fans and followers. It will give them a much-needed sabbatical, dose of humility or realization they should be in another profession. I didn’t say any of you had to leave the business and never come back. 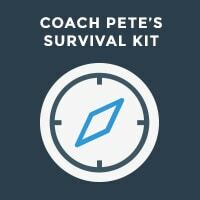 I left my family business after 16 years after becoming the vice president and climbing the family business ladder. As it turned out I realized I had found a business that I enjoyed with all my heart. 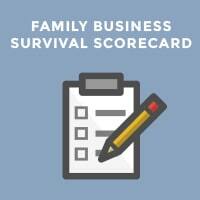 Not all family businesses are destined to be a family business forever. For any of you to stay in the family business for the wrong reasons or keep the family business alive even though it’s causing irreparable damage to your family relationships is a mistake. All of you should leave the family business at some point. Some of you should take a sabbatical, some of you should retire and some of you should not even join the business until you’ve established yourself as a business professional outside the business. It will be good for all of you. It will be good for your family. Not sure what’s right for you and your family? 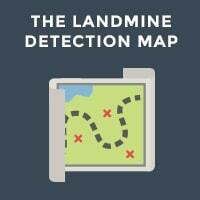 You should check out my Landmine Detection Map.